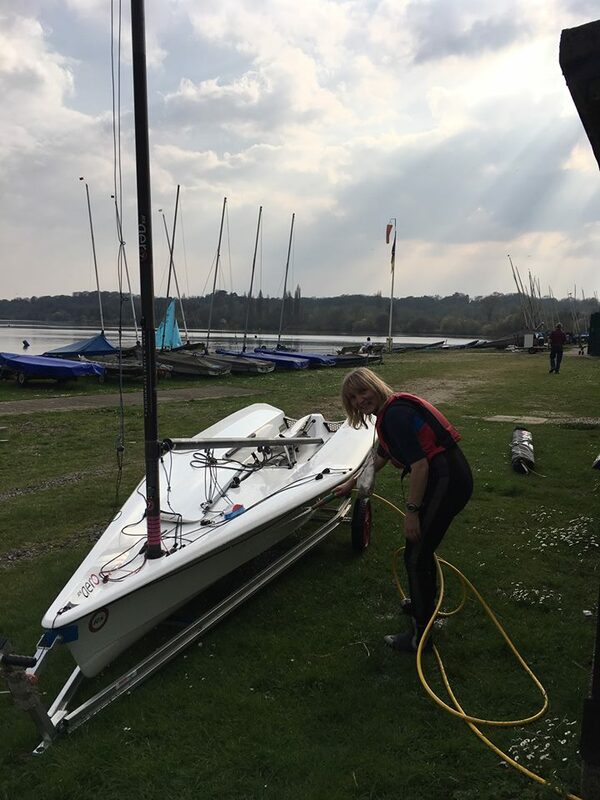 Glorious sunshine but barely a breath of wind greeted the RS Aero sailors at Broadwater for their 4th annual open meeting, in conjunction with the The Green Blue and our focus on the RS Aero Sustainability Charter. Coffee, chatting, tweaking RS Aeros and some seriously impressive drone flying (by Fernando Gamboa from Portugal) pleasantly passed the time as competitors surveyed a glassy looking lake. However, after taking an early lunch, a light breeze appeared and twelve RS Aeros, evenly split into RS Aero 7s and RS Aero 9s, started the first of three quick-fire half hour pursuit races. In Race 1 the 7s only managed to get a short distance away when the 9s were sent off a minute later to hunt them down. Home boats, Peter Joseph and Andrew Wishart, were the early leaders on a course which took the fleet right round the lake. However, they couldn't hold off the 9s for long and Andy Cooney, Dave Cherrill and Tim Hire finally took the top spots at the 26 minute finishing hooter. The wind for Race 2 was much kinder to the 7s and Joseph took best advantage by stretching out a good lead after a fast start. Abby Hire was hard on his heels for some time (definitely enjoying being ahead of brother Tim) whilst the leading 9, Gareth Griffiths, was also benefitting from a fast start. However, the long beat from mark 4 in one corner to mark 1 in another, saw a few changes with Cooney overhauling Griffiths, and Wishart sneaking through Abby. Joseph hung on doggedly to win the race after a tense finish, as the fleet came together on the final run with Cooney just holding off Griffiths for 2nd. Race 3 was again a bit light for the 7s start and once everyone had rounded the first mark the fleet had all come together. Leading RS Aero 9, Griffiths, entertained the troops with an over enthusiastic roll gybe and a subsequent swim. Then, as the fickle wind deserted many on a long run down the lake, a few luckier boats got a breeze from the righthand side of the course and came round onto the short reach with a small lead. Cooney, Wishart and Fernando were the beneficiaries of the phantom breeze and so they led down the final beat. Then the other RS Aero 9s started to revel in the steadier wind and gradually reeled in Wishart (who was enjoying his debut in a borrowed 7). Cooney hung on to the lead for another win and overall victory, after carefully covering Fernando, who had certainly started to get the measure of the conditions. Meanwhile, the in-form Youth, Tim Hire, worked his way through to 3rd, although was perhaps a little off his normal blistering pace due to the light airs and the distraction of GCSE revision which he was admirably doing in the windless morning. The Broadwater Sailing Club RS Aero Open trophy was awarded to a delighted Peter Joseph in 2nd place overall, the highest placed sailor who has not already won it. 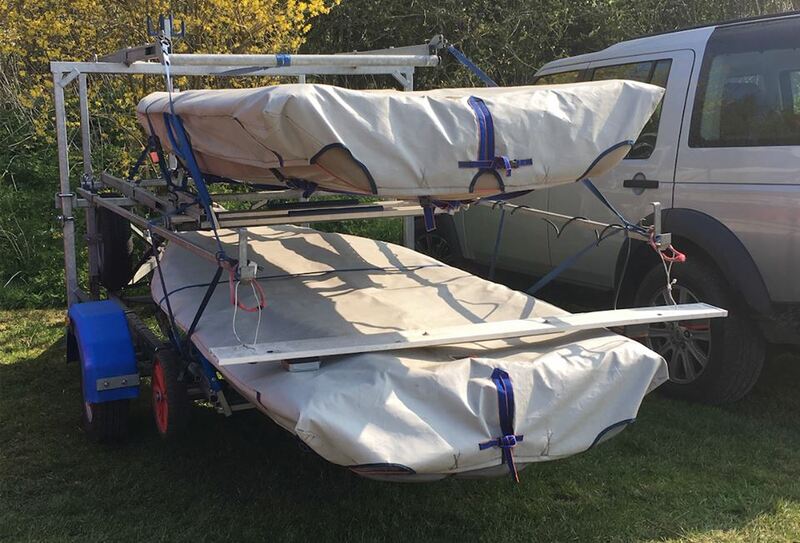 Embracing the RS Aero Sustainability Charter to reduce the impact of our sport RS Aeros were encouraged to share travel where possible. As always, a good hosing of boats, trolleys and wheels limits the chances of the spread of invasive species between our inland waters. 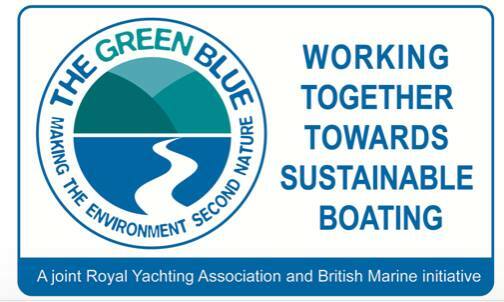 The three RS Aero Sustainability Trophies provided by The Green Blue will be re-awarded at an event later this year where a full schedule and another refocus on the Charter can be achieved. 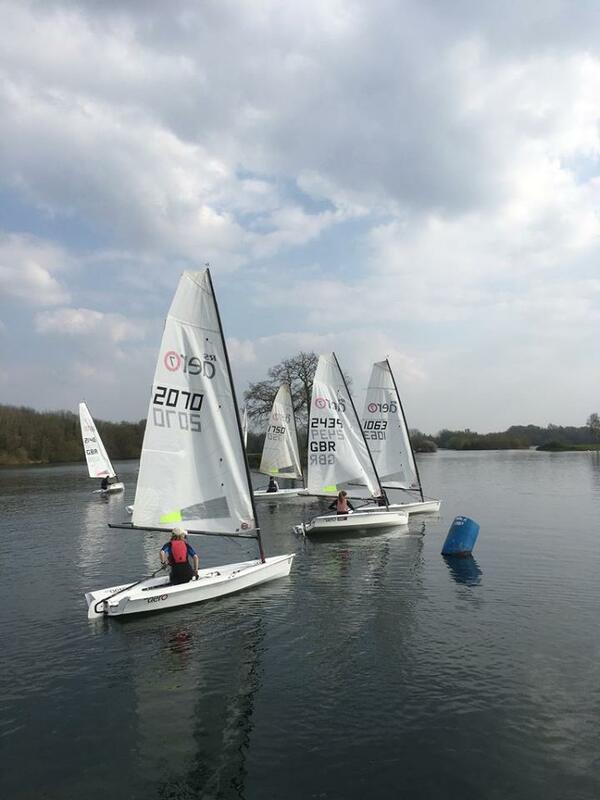 Next up for the RS Aeros in the UK is the final of this winter's Youth Team training this weekend at Poole. The 2019 Northern circuit kicks off on the 13th at Covenham followed on the 20/21st at Ullswater in beautiful Lakeland. The month ends with a big one on the 27th, the UK Spring Championship at Island Barn, Surrey. Check out all UK RS Aero events on the UK Events List.